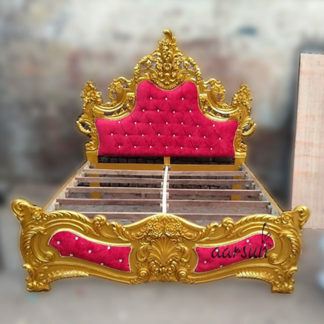 The unit is designed by skilled artisan in Premium Quality Seasoned Teak Wood. Please note that the size and shade may vary slightly as this is a handcrafted product. 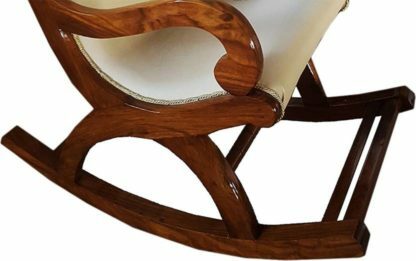 Add a cozy corner to your living room or bedroom with our Wooden Rocking Chair / Relaxing Chair made by skilled craftsmen from Teak Wood with traditional hand-finishing. Rocking chairs are often seen as synonymous with parenting, as the gentle rocking motion can soothe infants. 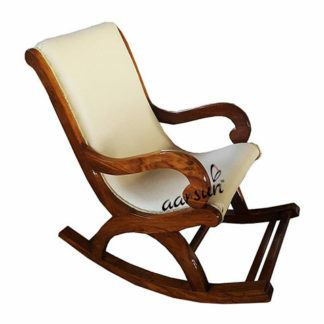 Rocking Chair are one of the best gifts for your elders. Our rocking chair has two curved bands (also known as rockers) attached to the bottom of the legs, connecting the legs on each side to each other.The rockers contact the floor at only two points, giving the occupant the ability to rock back and forth by shifting his/her weight or pushing lightly with his/her feet.Rocking chairs are most commonly made of wood. As the gentle rocking motion can soothe infants.